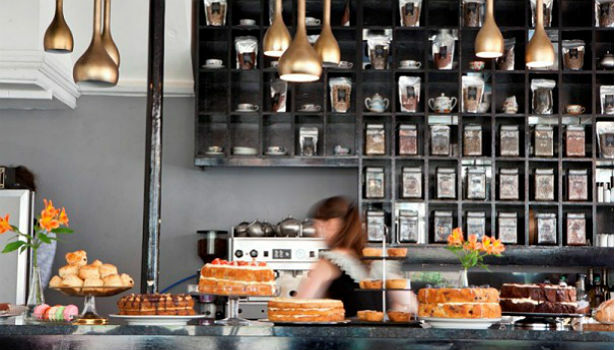 With so many great cafes and tea rooms across the city it can be hard to choose! 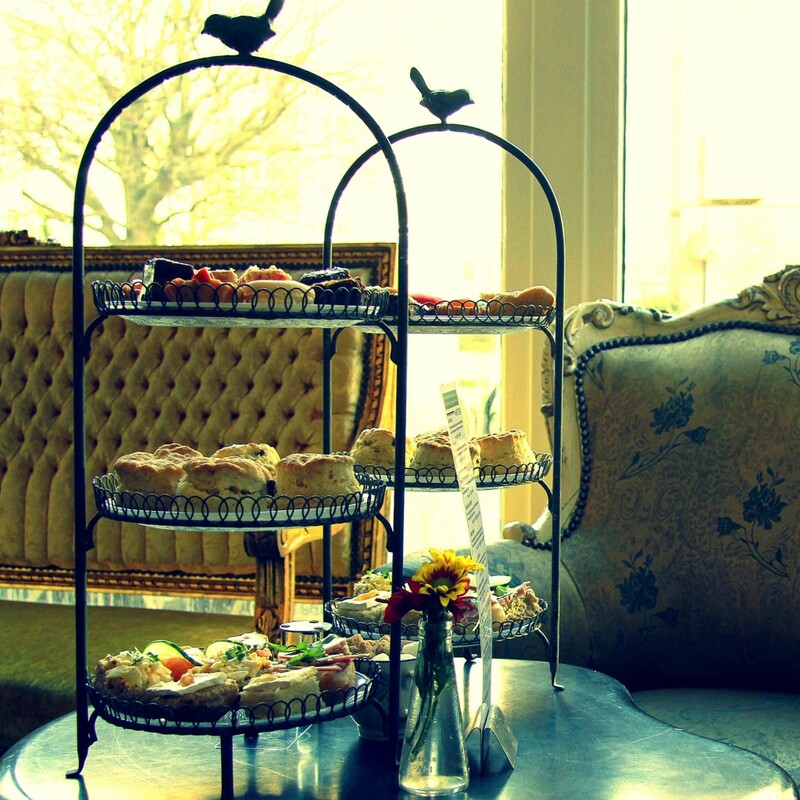 Here’s a selection of the best spots for traditional afternoon tea in Brighton. 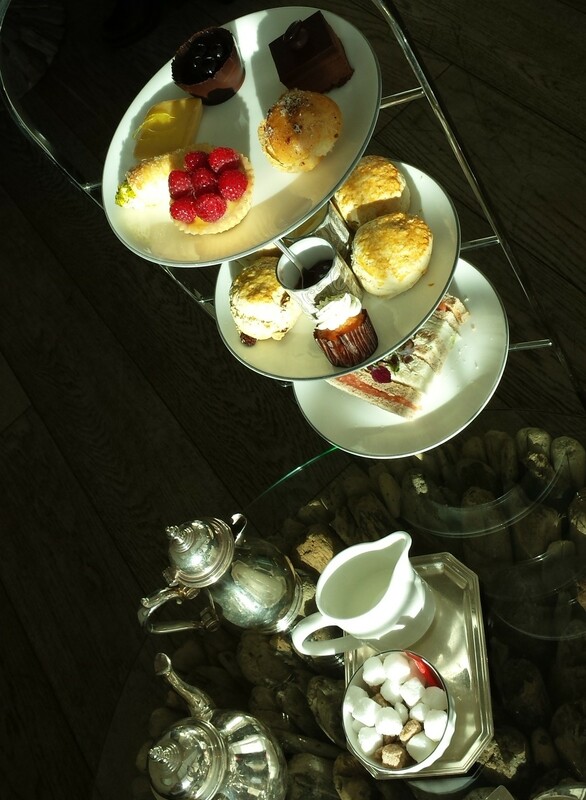 A real delectable treat served on a three tier stand complete with a choice pot of their varied bespoke teas. 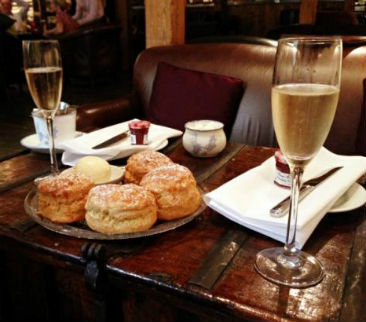 Add a glass of Prosecco, G&T or afternoon cocktail or try their Gentleman’s afternoon tea with real ale or fine whiskey. With the addition of vintage crockery you can indulge in the frivolities of a bygone era till 6pm. Freshly made mini bread rolls, home-baked scones, preserve and cream with fruit tarts and other fancies to give a French twist to a traditionally English affair. Gluten free and dairy free options available and Metro Deco is dog friendly so you can enjoy tea with your pooch. 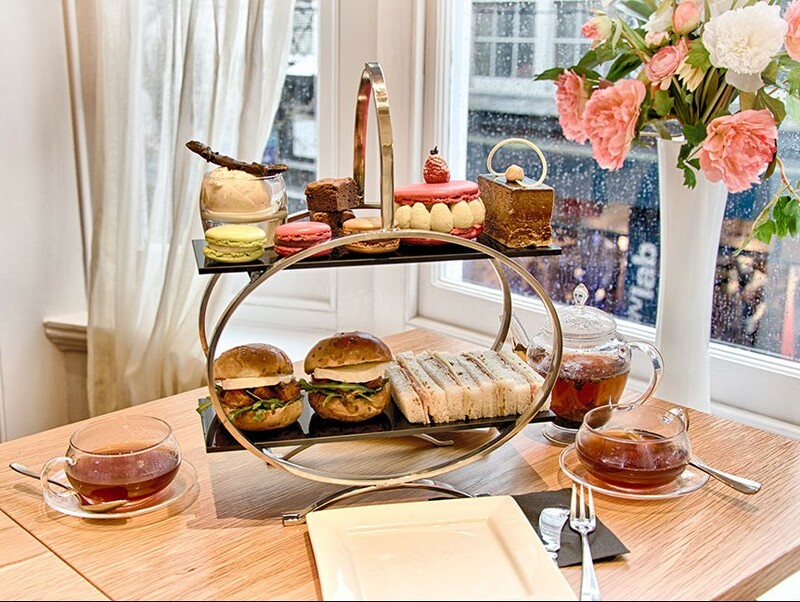 Possibly the prettiest afternoon tea in Brighton, Julien Plumart’s famous macaroons are served with a picture perfect spread. This Parisian inspired cafe oozes French charm and character and every detail is given special attention from the highly skilled staff. Starting with mini ham & cheese finger sandwiches and roasted tomato mozzarella & pesto mini buns, a selection of tea or real coffee complement the beautiful cakes, macarons and warm chocolate brownie & ice cream. Afternoon tea with a beautifully stylish French twist. 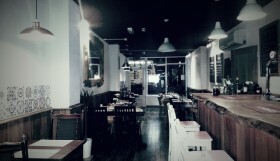 Blackbird Tea Rooms has been lovingly restored to resemble a pre-war tea room. Lined with mahogany shelves filled with old tea tins and tea-filled sweet jars, the prettiest floral wallpaper covered with delightful and eccentric photographs, Blackbird has a charm and elegance that is sadly missing from so many modern ubiquitous High Street chains. Every single cake, scone, biscuit and sweet treat is made on site by their wonderful pastry chef. His Afternoon Tea, served on original 1930s cake stands, has become so popular that he makes fresh batches of scones and cakes throughout the day to keep up with demand! 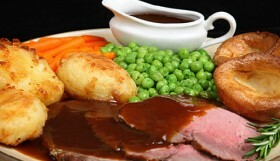 Hotel du Vin & Bistro is an elegant yet relaxed spot to indulge in quality time with good friends old and new. 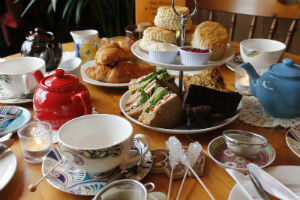 Sample some outstandingly good infusions served by their expertly schooled Tea Sommelier to complement tempting towers of pastries, finger sandwiches, a selection of cakes and deliciously creamy scones. Afternoon Tea here is whatever you want to make of it. 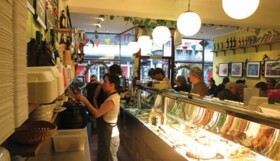 They offer you a pot of tea from a menu of over 60 kinds in their laid back café just off the busy Western Road. Sandwiches are of your own choosing, so you can get exactly what you want without any of the fuss. Keep it classic, like cheese & tomato or go posh with salmon & red onion. 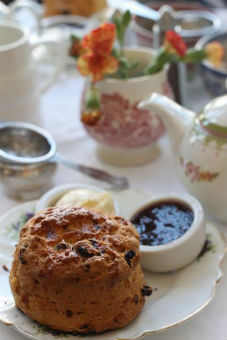 Scones are served warm with lashings of clotted cream and strawberry jam, plus a choice of chocolate brownie or cake of the day. Described by The Independent as ‘one of the top 14 Afternoon Teas in the UK’ a visit to The Victoria Lounge and Terrace is a real treat and the perfect location to enjoy sea views and a little luxury. The indulgent traditional afternoon teas start with a choice of hand-cut sandwiches and a pot of tea from their extensive menu including The Grand’s very own blend. Freshly homemade scones with strawberry preserves and West Country clotted cream are served with delicious homemade cakes from their 5 star patisserie chef who beautifully crafts some delightful pieces to compliment the selection. 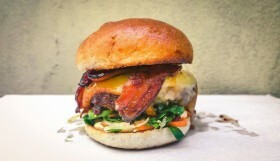 Why not sign up to our newsletter for We Love Brighton’s best bits straight to your inbox! Sign up here.